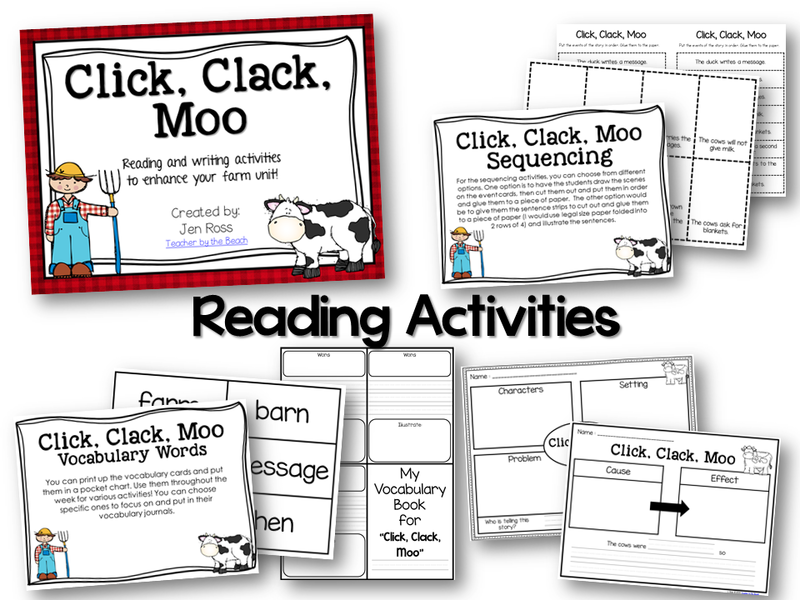 Click, Clack, Moo - Reading and Writing Activities! 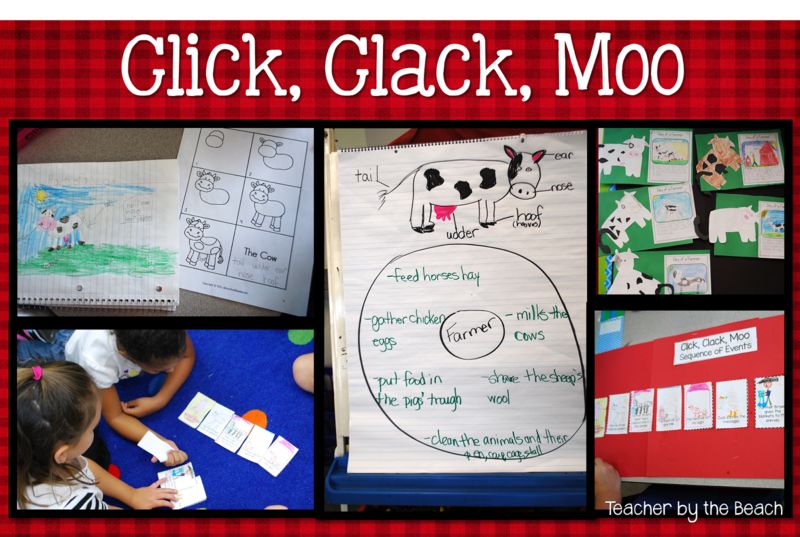 This week, we did a lot of activities from Click, Clack, Moo. We did sequencing, cause and effect, problem and solution, we hit all kinds of ELA standards! And that's not even talking about our writing activities. I didn't take pictures of it, but they did a Story Structure activity with problem and solution that they glued into their reader's notebook. 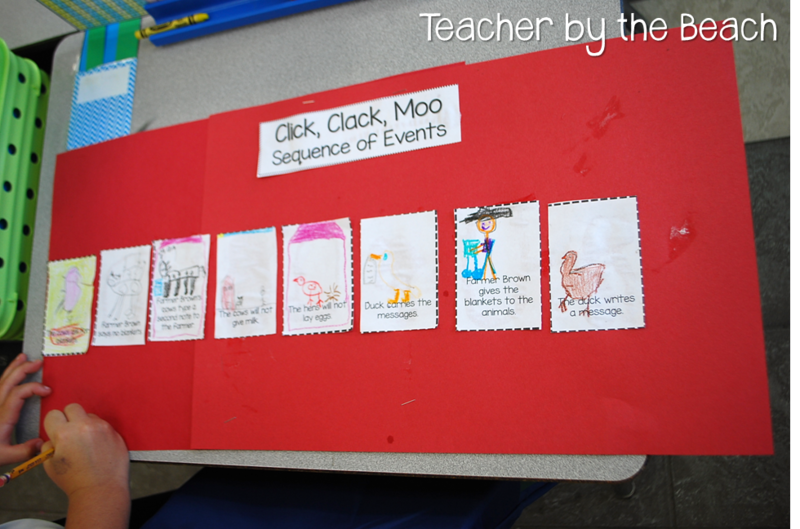 Then, we did a team building activity with sequencing. I gave them the cards (2 each) and set the timer for them to illustrate what the card said. The, I gave them some time to work together to put the cards in order of the story. 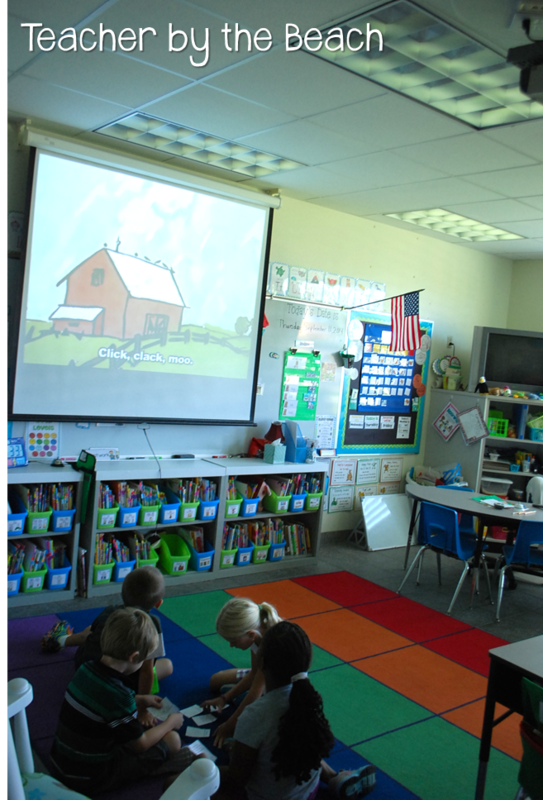 Then I turned on the book on Bookflix, so they could "watch" the scenes as they checked their work. This is how they came out. I'm actually quite proud of how they turned out! Now, if I was in 2nd or 3rd, I probably would've made them do this activity alone, but my little firsties did a great job as a team. 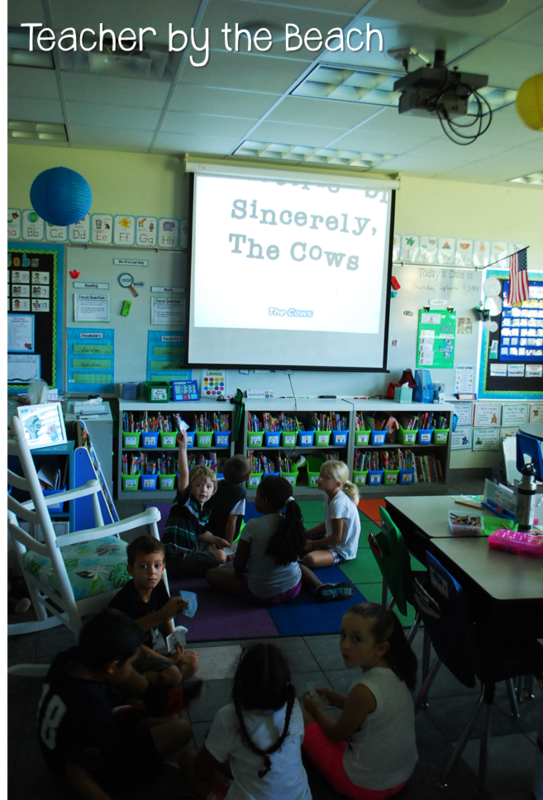 Then, we talked about the parts of a cow. I gave them a page for directed drawing. I found TONS of great guided drawings from ABC Schoolhouse on TpT. I feel like I need to get them all now. ha! They had some great activities to go with them too. 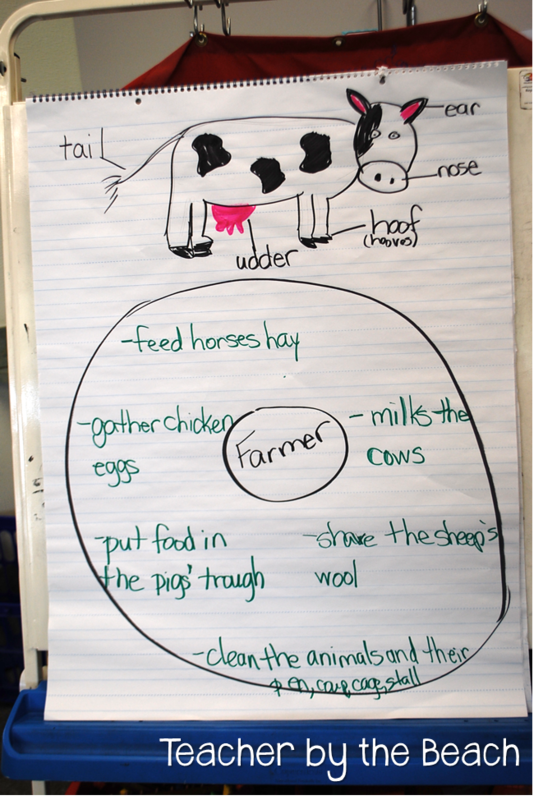 Then, we brainstormed ideas of everything a farmer has to do on a farm. 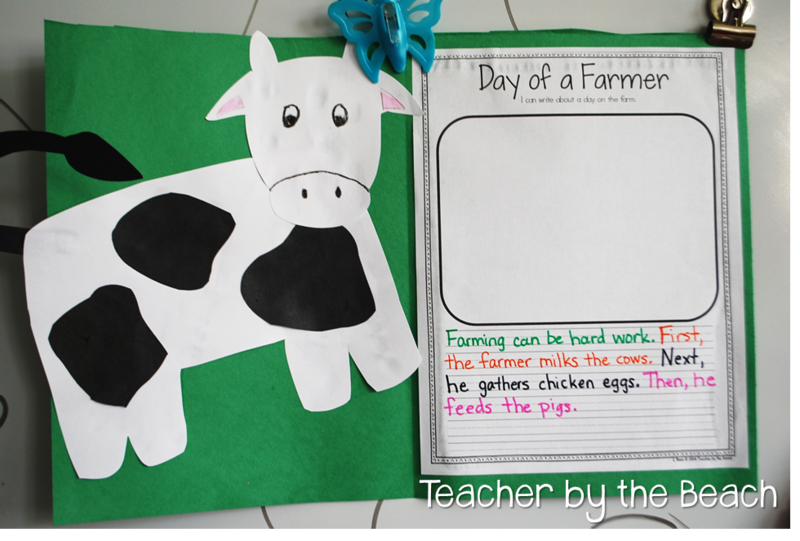 We used those ideas to write our "Day of a Farmer" which hit the standard of using "temporal words." I was actually really impressed with how a lot of them wrote their own sentences, helping them write their own version of the "story." I wrote all of my new sentences in different colors so that they could see when to start and end sentences. They used their planning page to help them with their writing. 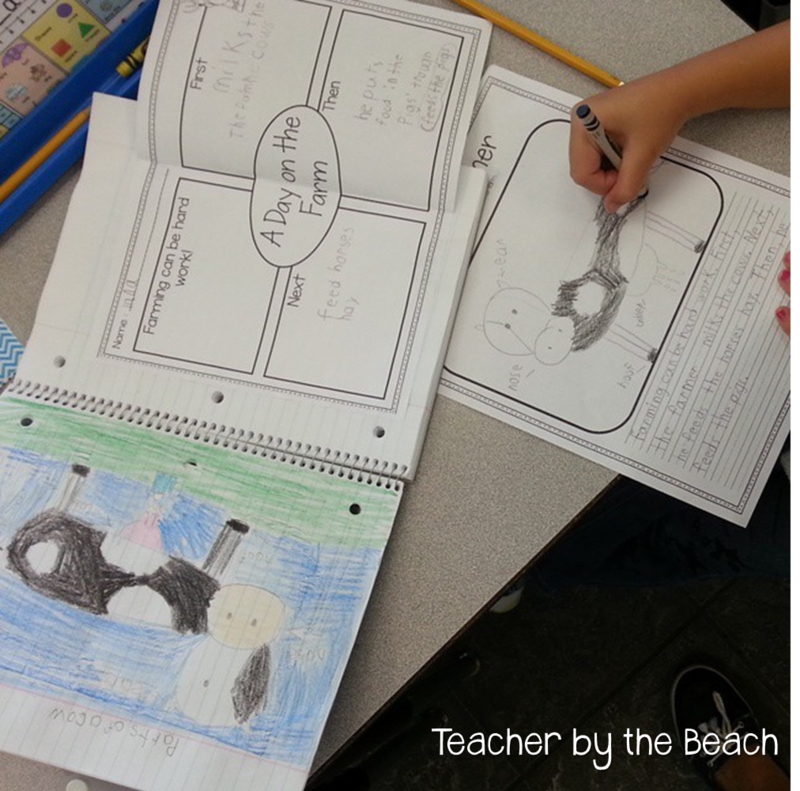 After they finished their writing and drawing with labeling, they got to do their craft part to the writing. This activity came from one of my go-to books. They put them on their "green grass" paper. I really like this one. 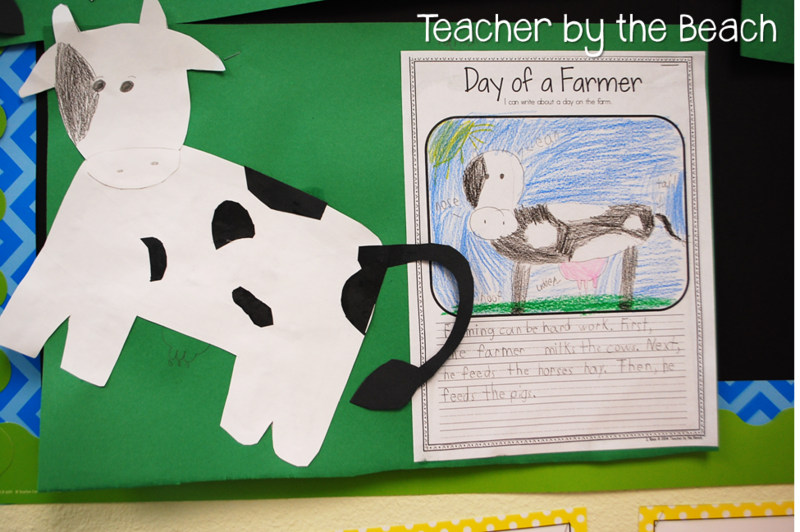 After we did our cows, I had a few students come up to me and say "Where is the tracer for the udder? 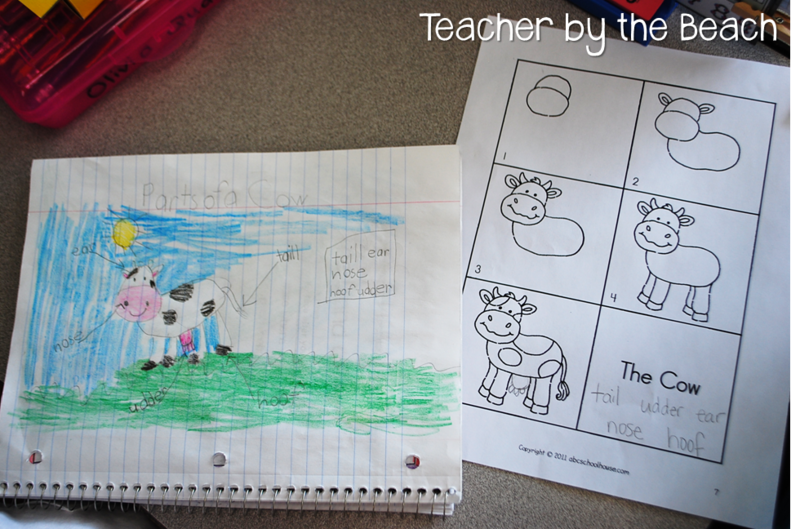 Our cow needs an udder!" lol But that the time I was too busy and didn't have any pink paper, but I like how they were thinking! I will definitely add that next time! Here's how they turned out. SO stinkin' cute! You can check out my pack on TpT or my Shop on the Blog. The only thing that you won't get is a craft - ha! I'm not crafty. Sorry. Want to win this pack? Comment below with your favorite farm animal! Giveaway ends Saturday morning with my morning coffee! Make sure to leave your email! My favorite farm animal is a pig! My favorite farm animal is a pig with a curly tail. I like cows. There is a cow pasture that runs along our yard, and a couple of times we have had a cow in our yard. 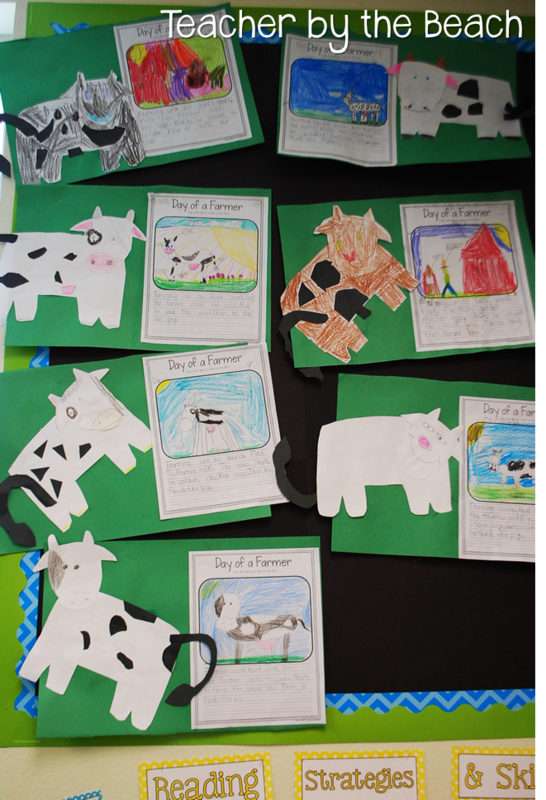 :) Your activities would be good to use next week as it is farm week at our school and farm animals will be coming to visit. We are going to see the play next month. I am so excited! 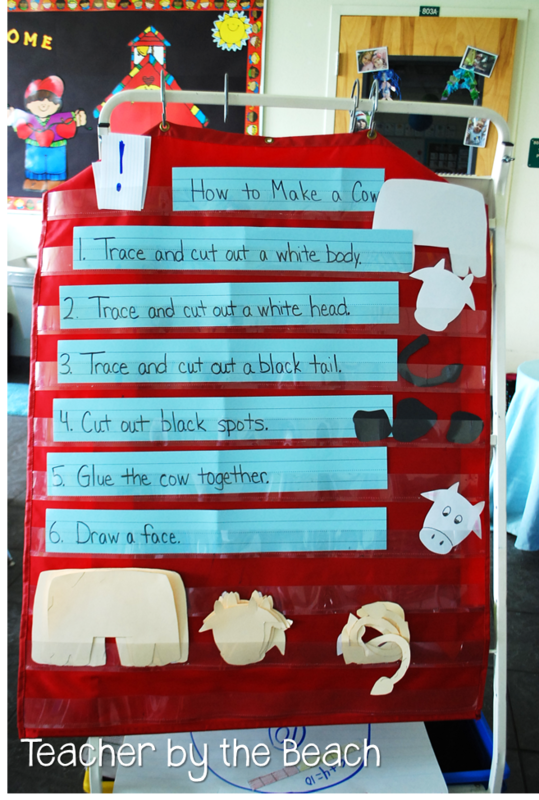 I would love to do all of these activities to go along with the book and the play. I used to live on a farm and I liked the sheep. I think all baby farm animals are cute. My favorite would be the sheep. I love baby chicks. They scurry around so fast pecking at anything. I love cute little pink piggies! to the dairy and play we go this year! Love those cute pink piggies. I love pigs & goats! They're both so cute I can't choose just one. :-) Thanks for the giveaway!! My favorite farm animal is the cow! Moo! I have to go with the cows. Can anyone suggest me some team building events for school children? 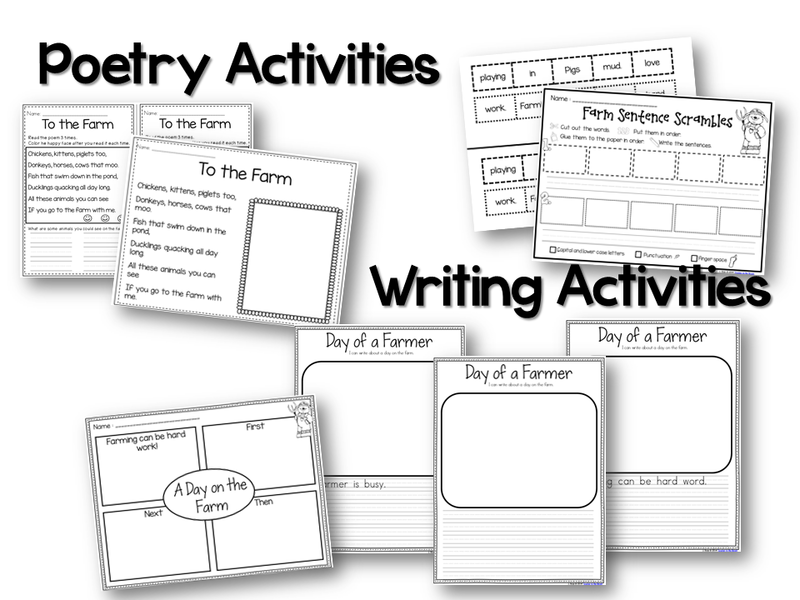 I am a school teacher and next week we are planning some team activities. For that I need some ideas. Please suggest me. Free variation yet you would certainly need to birth and VivaVideo amongst the masses as a result of its simpleness. These are the basic information that is called for in comprehending. Spotify Login Installment and also the process of downloading the exact same.